This article presents brief history and philosophy of Ayurveda. It provides an introduction to basic concepts of Ayurveda. While portraying present status regarding scientific research and clinical practice, the article also suggests future directions for Ayurveda to evolve as integrative medicine of the future. Ayurveda is one of the traditional systems of medicine that practices holistic principles primarily focused on personalized health. Originated in India, Ayurveda is one of the ancient yet living health traditions. Ayurveda is commonly referred as ‘science of life’ because Sanskrit meaning of Ayu is life and Veda is science or knowledge. Life in Ayurveda is conceived as the union of body, senses, mind and spirit. The concepts of Dosha (bio-regulators), Dhatu (tissue), Mala (metabolic wastes) and Agni (energy for transformation) are central to Ayurveda physiology. Prakriti or individual nature has central role in prevention and therapeutics of Ayurveda. With over 400,000 registered Ayurveda practitioners, the Government of India has formal structure to regulate its quality of medicines, education and practice. Prolonged use of Ayurveda by people has also led to several home remedies for common ailments. Ayurvedic medicines contain sophisticated therapeutic formulations. Ayurveda deals with healthy life style, health promotion and sustenance, disease prevention, diagnosis and treatment[i]. The holistic concepts of Ayurveda give emphasis of health promotion, disease prevention, early diagnosis and personalized treatment. There seem to be substantial similarities between the traditional systems like Ayurveda and the innovative approach of Predictive, Preventive and Personalized Medicine (PPPM)[ii]. Many countries in the world especially Germany, Italy, Hungary, Switzerland, United States have institutions where Ayurveda is practiced with respect to traditions and high professional competence [,]. Thus Ayurveda is being globalized. Following sections give brief historical, philosophical and evolutionary perspectives of Ayurveda with its basic principles. The article also describes notable research initiatives and potential role of Ayurveda in the future medicine. The Indus Valley Civilization and the ancient Chinese, Mesopotamian, and Egyptian civilizations share several similarities. In the beginning of the first millennium AD, three principal systems of medicine, Ayurveda, Greek, and Chinese, were active. The fundamental attitude to the relationship of man and nature was similar in these three ancient civilizations. However, their explanations of the human body, physiology, pathology, and therapy were different in some respects. Their approach to health and medicine was holistic. As far as the mythological accounts are concerned, the quest for health, wellness, and longevity are manifest in the invocations of Lord Dhanvantari, the incarnation of the supreme deity, Vishnu. The Vedic hymns dedicated to Ashvini Kumara which are symbolized by the twin stars visible before dawn, represent the healing spirit of the universe. The history of Indian medicine is synonymous with Ayurveda which is supposed to be a part of Atharva Veda. Non-Vedic Buddhism, as a philosophical creed, and as a way of life, has also significantly contributed to Indian medicine. One of the earliest systematic mention of medicines “unmixed with incantations is found in the Maha-vagga of the Vinaya-Pitaka where Buddha prescribes medicine to his disciples. These medicines are of a simple nature, but they bear undeniable marks of methodical arrangements.” The Vinaya-Pitaka contains special sections on specifications about the food and medicine of Buddhist monks, and classic Buddhist descriptions of meditation on the body, with lists of body parts and bodily impurities. For example, in such texts as Bhaishajyavastu of the Mulasarvastivada, and in some Pali Vinaya, there is a detailed description of medication allowed for Buddhist monks and nuns. There is a mention of a surgeon, Akashagotto, who made surgical operations on fistulas. There is a mention of Jivaka, who studied medicine in the Taxila University under Atreya. Thus the practice of medicine was common even among the non-Vedic traditions, such as the Buddhist and Jaina traditions. The influence of Vedic and ancient Indian knowledge systems on many philosophers and thinkers from the West is evident. Evidence of this influence is also found in the works of pioneers in the field of medicine such as Hippocrates, Avicenna, Galen, and Osler. The influence of Vedic knowledge on Greek science and medicine is apparent, yet hardly any mention or recognition appears in the documents, including in Osler’s often-cited book on the history of modern medicine. Whether Osler’s omission of Ayurveda in his landmark book is due to his ignorance, or a case of biased negligence, is a subject of speculation. Whereas most of Western scientific, philosophical, and medical texts do not acknowledge the influence of other cultures, the Persian scholars duly acknowledged their sources of knowledge. For instance, Abdulla-bin-Ali, Manka, and Ibun-Dhan translated several Ayurveda texts into Persian and Arabic. Charaka Samhita (Sharaka), Sushruta Samhita (Kitab-E-Sushrud), Ashtanga Hridaya (Astankar), and Siddhayoga (Sindhashtaq) reached the Arabic and Persian physicians in the sixth to eighth centuries. In 850 AD, Ali-bin-Raban-al-Tabri authored a textbook of medicine, Firdausu’l-Hikmat. He appended a chapter on the Indian system of medicine in this book; this was much before Avicenna wrote his famous Canon of Medicine. The process of dialogue, dialectical method of enquiry, and hypothesis building is common to both Indian and Western philosophy. The Delphi method of participatory consensus building, which is used widely today, resembles the method in Ayurveda known as Tadvidya Sambhasha. Detailed rules and procedures for conducting consultations, debates, and discussions are given in the Nyaya Shastra, which, as a method of argumentation, was common to all disciplines, including Ayurveda. The roots of Greek theory of macrocosm and microcosm; the concept of the four elements (fire, air, water, and earth); the four qualities (hot, dry, wet, and cold); and the four humors (yellow bile, blood, phlegm, and black bile) are found in the ancient systems of Samkhya and Yoga. The theories of Loka–Purusha, five Mahabhoota, three Dosha, and six Rasas formed the basis of Ayurveda. The history of Indian medicine is inseparable from the history of Darshanas, or schools of Indian philosophy. The Vedanta, as a philosophical school, is a culmination of the philosophical views of Samkhya, and Uttara-Mimamsa. Ayurveda derives its basic premises from the Samkhya-Yoga as a combined discipline. Further premises were derived from Vaisheshika and Nyaya. These philosophical theories play a fundamental role in Ayurveda as it examines the physical, mental, social, and spiritual health of an individual. This function is encompassed in the term, the science of life. Among the Darshanas, it is apparent that the Samkhya system had the greatest influence on the precepts of Ayurveda. The aim of the Samkhya system is cessation of sufferings (Dukkha Nivritti). This system is attributed to the legendary sage, Kapila. It aims at comprehending the entirety of the meaning of life through twenty-five Tattva (principles). It is interesting to note that the Samkhya begins its inquiry into the good life by identifying and distinguishing between three types of Duhkha (suffering). The three types of sufferings are: adhibhuatika (caused by external conditions, mainly physical); adhidaivika (caused by supernatural agency); and adhyatmika (intra-organic). The twenty-five tattvas are the principles of the creation of the universe; the five fundamental derivatives of the universe, mahabhootas (earth, water, energy, air, space); and the tri-gunas (the three primordial natures of Prakriti, or Sattva, Rajas, and Tamas), are at the foundation of the evolving philosophy of Samkhya. These were translated and applied to all the problems of health and wellness in Ayurveda. The most fundamental derivation of this is the conceptualization of three doshas, vata, pitta, and kapha, which are responsible for all functions in the body. Charaka Samhita, Sushruta Samhita and Ashtanga Hridaya (~ 400 BC – 200 AD) are main classics, which give detailed descriptions therapeutic principles, diagnosis and management guidelines of over 4500 disease conditions, over 700 herbs and 8000 formulations. Madhava Nidana (~ 800 AD) a diagnostic classic provides over 5000 signs and symptoms. 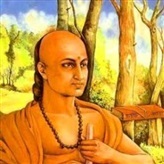 Notable contributions to the disciplinarization of Ayurveda followed the pioneering work of Charaka. The Charaka Samhita, the first book of internal medicine, elaborates principles, diagnoses, and treatments. This classic text gives detailed knowledge of human anatomy, embryology, pharmacology, blood circulation, and diseases such as diabetes, tuberculosis, heart disease, and details of thousands of medicinal plants used in Ayurveda. Charaka defines meaningful life not only in terms of an ethically virtuous life, but also in terms of a healthy life. He uses the term Ayurveda in the general sense of science of life. For Charaka, life consists of sukha (happiness), duhkha (unhappiness), hita (salutary), and ahita (noxious). Thus, the objective of the science of life is to teach what is conducive to all these four kinds of life, and also to determine the length of such a life. In fact, ancient Indian thinkers stress the fact that health is the foundation of all endeavors of life, including the moral and spiritual pursuits; the human body is an instrument (sadhan) of achieving them. Shariram adyam khalu dharma-sadhanam translates to: a (healthy) body is an instrument of dharma (the principle of righteous behavior) that signifies the moral and spiritual pursuits of an individual. By health what is meant here is obviously holistic health—the physical, mental, social, and spiritual. Living a long and healthy life is regarded not only as valuable, but as a virtue in the Indian and Greek traditions. In the Greek tradition the idea of good life is expressed through the concept of Eudemonia, that is, a virtuous life that is happy, and worth living. Health conceived in this broad sense is an integral part of a happy life. It is interesting to note that according to Charaka, together Shareera, Indriya, Mana, and Atma constitute life. Sushruta Samhita is a mostly a surgery based treatise authored by Sushruta, who is acclaimed as father of surgery. Sushruta’s contributions to modern surgery are acknowledged by various authors. He classified surgical operations and described 125 types of various surgical instruments. His description of fumigation for surgical theatre, sterilization of instruments and various applications four cuts and wounds foreshadows microbe theory of modern science. He describes procedure and principles of plastic surgery. Sushruta’s technique of transplanting skin flaps with retaining blood supply in rhinoplasty operation is a fundamental contribution to modern surgery. The discovery of cataract couching, amputation, reduction of fractures, and suturing of wounds are described in details. Ksharsootra technique is one of most practiced procedure of Ayurveda surgery that uses application of medicated thread (as chemical cauterization) for management of neoplasia, fistula and piles. Other major contributions include Vagbhata (Ashtanga Hridaya and Ashtanga Sangraha); and the Madhava Nidana. Possibly from from 400 BC, Indian knowledge became available to European and Arabic regions through invasions by Alexander the Great, and others. There is evidence of some communication between Greece and India even before Alexander the Great’s invasion, possibly through the Achemenian Persians. Nagarjuna (800 AD), in the classic text, Rasa Ratnakara, outlined many interesting experiments in metallurgy, alchemy, and chemistry. He also used metal-based ingredients in medicinal preparations. Many texts like series of materia medica (nighantu) were authored by various scholars. The latter texts (till 18th century) included descriptions of new substances as causative factors, medicines and diet, also treatment for new diseases. The Ayurveda text development timeline shows gaps after 18th century, the era of British dominance. The Indian systems of knowledge, including medicine, were not only hamstrung by invasions and foreign rule, but were denied revitalization through the influence of the industrial revolution, and the progress of science and technology that propelled Western science to prominence. The epistemology of Ayurveda is based on harmonious relation between microcosm and macrocosm and theory of Mahabhoota. All objects in the universe are composed of five basic elements known as Mahabhoota; which express as dynamic principles regulating biological process in living system, known as three dosha – kapha, pitta, vata. Dominance of dosha determines individual constitution known as prakriti type. Every living body is formed with seven types of tissues known as dhatu. The waste products of metabolism like stool, urine and sweat are known as mala. Specific dominance of mahabhoota also express as six tastes (sweet, sour, salty, pungent, bitter and astingent), termed as rasa. Both dosha and rasa can influence each other. The body has network of channels known as Srotasa, which are responsible for free flow of nutrients and metabolites. Agni is biological fire, which is responsible for metabolic processes including digestion, absorption and assimilation. Any undigested food can lead to toxic pro-inflammatory substances known as Ama. Six progressive stages of pathogenesis known as shat kriya kala are useful for prediction, early diagnosis and prevention of diseases. The principles of Ayurveda pharmacology and therapeutics are based on concepts of Dravya, Guna and Karma. All the matter is composed of combinations of mahabhoota. Every substance (dravya) has some attributes (guna) those are responsible for its action. Generally guna and karma depend on composition of mahabhootas. There are ten pairs of opposite attributes of guna and there could be several karmas. Ayurveda knowledgebase contains over 3500 herbal, animal and mineral materials as dravya, which are used as food or medicines. The main focus of Ayurveda is on health protection. Swasthavritta provides detailed advice on how to align routine lifestyle in tune with nature to remain healthy. It includes healthy daily routine known as dinacharya and seasonal routine known as ritucharya. Many specialized drugs known as rasayana are used for immunity and longevity. Body purification and detox procedures known as panchakarma are used for rejuvenation and therapeutic purposes. An optimal healthy state is known as swastha when a person is stable within self; when dosha are balanced, dhatu are well nourished, waste products are effectively removed, srotasa are clean, and digestive fire (agni) is active with a feeling of bliss at the levels of body, mind and spirit. Ayurvedic therapeutics is logical and systematic process aimed at fine-tuning internal homeodynamic balance in tune with the external environment with help of natural interventions. Ayurveda offers personalized health management based on prakriti. It provides specific advice according to pathogenesis and disease subtypes, known as vikriti. Ayurveda commonly referred as ‘knowledge or Science of life’ is one of the ancient yet living health systems with wide acceptance especially in South Asia. Ayurveda is considered as a trans-disciplinary knowledge system that accepts but transcends methods of science. Classical Ayurveda has eight main branches: internal medicine; gynecology and pediatrics; surgery; diseases of head and neck; study of poisons; psychiatric diseases; rejuvenation and longevity; and reproductive health. 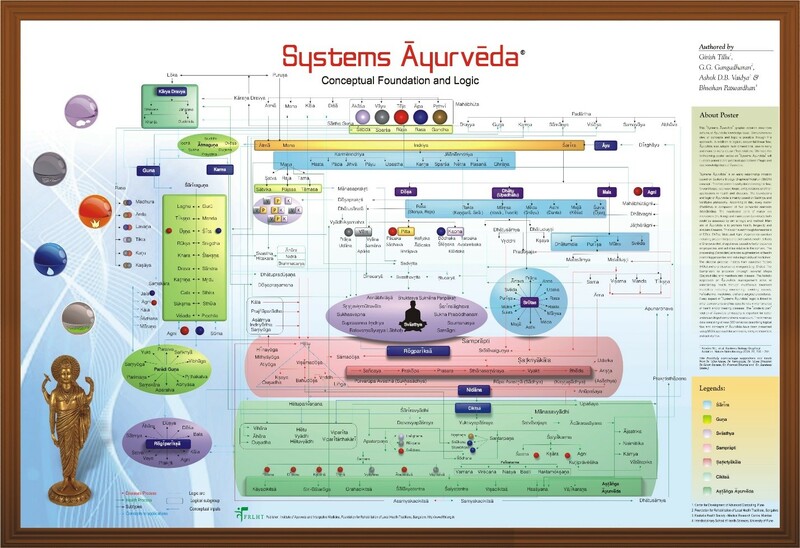 A conceptual foundation and logic of Ayurveda is based on more than three hundred variables having nonlinear complexity, which can be linked through network of forward and backward loops. 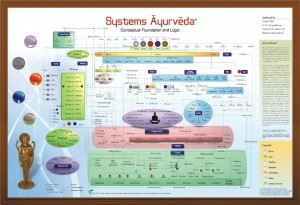 This is presented in an entity relationships diagram Systems Ayurveda (Figure 1). Historically, Ayurveda has been experiential, inclusive, and progressive. However, its progress was stalled for hundreds of years. Ayurveda still receives acceptance from the general public and its prolonged use has rooted as folk medicine and home remedies for common ailments. Along with integrating its practices with Yogic disciplines and modern medicine, Ayurveda has the potential to emerge as a major scientific discipline as holistic, mainstream medicine. However, before that happens, there are many hurdles to clear. The first hurdle is establishing an acceptable evidence base suited epistemologically to Ayurvedic precepts and practices. Secondly, efforts of identifying an effective therapy in Ayurveda, discovering herbal remedies, isolating the active principles which have maximum therapeutic properties—as is the current approach to Ayurveda—is not the right way to go. This may yield a few short-lived therapeutic agents, which has nothing to do with the revitalization of Ayurveda as a whole, since this is purely a reductive methodology. Thirdly, instead, Ayurveda must develop a bridge through a systems biology approach by scientific characterization of well-linked components at various levels of application of such disciplines as cell biology, biochemistry, genomics, epigenetics, proteomics, and metabolonomics. Eventually, basic Ayurvedic principles such as Mahabhoota, dosha, and Prakriti types, and their contribution to body pathophysiology need to be scientifically explored with tools of advanced technology. Fourthly, Ayurveda course is not the first choice of students compared to various courses of business, technology, modern medicine, and other monetarily rewarding careers. . Unless this is changed, it will be difficult to get the cream of the brightest students to emerge as leaders of Ayurveda of the new era. Educationists, thought leaders and policymakers need to apply their minds seriously to this daunting challenge. Finally, there is a need to train scientists as Vaidyas as well as train Vaidyas as modern scientists, in order to create a confluence of traditional wisdom, and modern science. Ayurveda and Western medicine have evolved based on different epistemology. Figure 2 illustrates how to these systems are distinct. Greek medicine embraced modern science and gradually evolved as modern medicine. The industrial revolution bypassed Indian subcontinent where Ayurveda was predominant. Originally, Ayurveda was meant to be open for new ideas, principles and knowledge for continuous and systematic progress. However, its progression seems to be stalled during last several centuries resulting in chronic stagnancy of today. Later, during the period of invasions in India, Ayurveda was suppressed, and stagnated for several centuries that caused a severe setback for its systematic progress and development. Moreover, because of the dominance of modern medicine during the colonial period, Ayurveda was further fragmented, deteriorated, and was marginalized. Arguably, many reasons for this stagnancy are intimately connected with the culture and history of Indian sub-continent, periodical invasions, suppression by the conquerors and lack of rulers’ patronage. The greatest challenge and priority of that time must have been to preserve the existing knowledge. These attempts may have been responsible for containment of knowledge and reluctance to free flow of ideas and innovation. The net result seen today is lack of confidence, complacency and heritage pride-based emotional attitudes among practitioners as against evidence based quest of research. This situation has certainly been responsible for damage to reputation and credibility of Ayurveda. The responses from Ayurvedic community towards such assaults have been more emotional and have largely lacked insights in understanding the problem, creative strategies, and research culture. Instead they seem to have developed complacency, defensive and dogmatic attitude and often pure sentimentalism. Western medicine also went through a long period of lull from 1st century until the anatomical work of Vesalius and work on blood circulation of Harvey was accepted. However, the western medicine aggressively moved on a reductionist path and developed more and more potent chemical compounds, which often turn out to be doubled edged weapons to treat disease as well as damage health in the process. The newer generation of antibiotics, corticosteroids and cytotoxic cancer drugs are classic examples. An ideal therapeutic regimen should be safe, effective, affordable and personalized. We are moving from the infectious diseases era to an increasing dominance era of chronic life style diseases, which need holistic balanced regimens combining drugs with life style concomitants such as diet, exercise and mental attitudes. We believe that integration of holistic disciplines rooted in different cultures over centuries like Ayurveda with modern medicine is a logical answer for fulfilling this need. We need science based reorientation of the ancient discipline and a strategy for gradual establishment of evidence base. Ayurveda needs serious discourse, fierce debate, energetic experimentation, studied evaluation, cautious claims and prudent implementation. There is a need to go beyond mere scholarly recitals, reviews and defensive interpretations, which are abundant in current literature. Ayurveda needs to be studied, experimented with help of new models based on modern science and biology. We need to develop epistemologically and culturally sensitive scientific research methodology for evaluating safety, quality and efficacy. Many lessons learned in the past should guide our quest for evidence based Ayurveda in the future. This sector needs government patronage, peer respect, scientific empowerment, professional confidence and capacity building, educational reforms, and above all unbiased and free exchange of innovative ideas leading to experimentation. Ayurveda as ancient science of life has long history and its basic principles may be valid even today. However, essence of any science is continuous quest for new knowledge through research, development and newer applications. The mode of manifestation of disease has changed. The geo-climatic environment, plants, animals and microbes have changed. Human behavior, life-style and genetics have changed. Clearly, classical Ayurveda of yester years cannot be blindly practiced without contemporary modifications. Continuous research on safety, quality and efficacy of Ayurvedic drugs and procedures is needed. Systematic documentation and critical analysis of clinical practice is necessary. Study of Ayurveda needs interdisciplinary approach that bridge with Biosciences and advance technology. Currently, the clinical practice of classical Ayurveda is rare. In many states of India, Ayurvedic practitioners are reported to exclusively adopt allopathic practices for better acceptance in urban settings. Although, the practice of Ayurveda draws significantly from the three classic Samhitas, significant variations in clinical practice exist in different parts of India. Although, huge knowledge resource and wisdom is available from many Ayurveda classic books, systematic data on actual use and evidence of reproducible outcomes is not available in public domain. Standard treatment protocols for practitioners are not available. Despite a considerably large infrastructure at disposal of Ministry of AYUSH consisting of 495 UG and 106 PG Colleges 3277 Hospitals, 62649 Beds, 8644 Manufacturing units and 785185 registered practitioners and over Rs 1000 crores yearly budget, hardly any systematic clinical data or analysis are available. Systematic documentation and reliable data on pharmacoepidemiology and pharmacovigilence for clinical practice, safety and adverse drug reactions is not available as open access, although a modest beginning has been made. The status of professional and continuing education as well as attitudes of practitioners towards safety are also worrying. As per present regulations in India no scientific or clinical data is required for manufacture and sale of classical Ayurvedic medicines. Technically sound Pharmacopoeia, Good Manufacturing Practices, quality control and pharmaceutical technologies for Ayurvedic medicine are still evolving,. Issues related appropriate research methodologies or treatment protocols for Ayurveda have also not been properly addressed. Many critiques are demanding better coordination between stakeholders, continuous dialogue with scientific community and total overhaul of the curriculum and pedagogy along with need for cross talks between different streams. Recent report on status of Indian medicine and folk healing indicates need to strengthen AYUSH systems in national healthcare. The need for innovation is also urged by thought leaders in this sector. In short, the evidence base to support good clinical practice, guidelines and documentation in Ayurvedic medicine remain scant and grossly inadequate. Current model of evidence is hierarchical that suggests randomized controlled clinical trials as highest level of evidence. We observed that Ayurveda lags far behind in scientific evidence in quantity and quality of randomized controlled clinical trials and systematic reviews. For instance, out of 7864 systematic reviews in Cochrane Library, Ayurveda has just one, while Homoeopathy and TCM have 5 and 14 respectively. Despite significant investments in ambitious projects like golden triangle involving reputed laboratories did not produce any noteworthy outcomes in terms of products or protocols probably due to lack of mutually respecting collaborative culture. Thus, Ayurvedic medicine continues to remain subcritical in research publications as an important indicator of external evidence. The present scientific evidence in support of Ayurvedic medicine by and large remains poor. This has led to further denigration and retardation of its development as evidence based medicine. Ayurveda research also needs to focus on understanding concepts and theories rather than only generating evidence for its interventions. Present hierarchical model of evidence answers limited questions for its efficacy and it may be useful for regulatory requirements where one has to generate proof of safety and efficacy of new interventions. The same model may not be useful to understand complex interventions like Ayurveda. Researchers have proposed use of circular model that includes various observational study designs along with conventional experimental methods. Many articles lamenting poor quality of Ayurvedic medicines, presence of heavy metals and other safety compromising substances have been published,. The House of Lords and European Union have put several restrictions on Ayurvedic medicines. Today, systematic scientific research in Ayurveda is required to be enhanced. Few noteworthy attempts related to research and practice such as Ayurvedic biology, .Science Initiatives in Ayurveda supported by Department of Science and Technology, TRISUTRA (Translational Research and Innovative Science Though Ayurgenomics) project of Council for Scientific and Industrial Research are representative examples of large multi institutional research programs supported Indian Government. As a measure to protect intellectual property, Traditional Knowledge Digital Library as a searchable database containing over 36,000 formulations from 150 traditional texts has been developed. A software suit AyuSoft is available as decision support system, which captures retrievable knowledge from near 30,000 classical verses. Many bioactive molecules have been studied from Ayurvedic medicinal plants such as rauwolfia alkaloids for hypertension, psoralens in vitiligo, holarrhena alkaloids in amoebiasis, guggulsterons as hypolipidemic agents, piperidines as bioavailability enhancers, bacosides in mental retention, picrosides in hepatic protection, phyllanthins as antivirals, curcumins in inflammation and withanolides as immunomodulators. During last two decades, clinical research in Ayurveda is becoming more pragmatic where classic Ayurvedic formulations are being evaluated as against botanical extracts and purified fractions. This whole system approach is certainly better suited for evaluating Ayurvedic treatments. A controlled clinical study of knee osteoarthritis has reported that Ayurvedic formulations significantly reduced knee pain, improved knee function and were shown equivalent to glucosamine and celecoxib. Another randomized trial demonstrated that classical Ayurveda treatment was equivalent to methotrexate. These efforts exemplify that personalized classic Ayurvedic treatments and allopathic treatment can be studied in mutually acceptable ways. In attempts to move towards whole system research, an interesting trial is planned to compare complex Ayurvedic intervention with modern medicine intervention in patients with knee osteoarthritis. This innovative trial design is looked as a judicious compromise between rigor and pragmatism. Efforts to develop CONSORT like clinical reporting guidelines for Ayurveda are also in progress . Several efforts to study biological basis of Ayurveda concepts are in progress. Recent studies in rat models have shown protective effects of amalaki rasayana through inhibition of age related DNA damage in neurons indicating improved genomic stability . Effect of amalaki rasayana in Drosophila model has shown up-regulation of biological markers for increased life span, fecundity and thermal tolerance . Scientists feel that studies on the mode-of-action using computational approach may help in predicting potential targets from Ayurvedic database. Many studies to explore genetic basis of prakriti are underway. A pioneering work showing genetic correlations between vata, pitta, and kapha prakriti types has given way for a new discipline known as AyuGenomics. Recent reports show correlation of extreme prakriti types with EGLN1 gene expression , immune responses  and with body mass index . The Ayurveda fraternity should urgently recognize and address the need for scientific evidence. Systematic documentation, appropriate methodology and rigorous experimentation in accordance with good practices coupled with epistemologically sensitive approaches will remain crucial to move towards evidenced-based Ayurveda. 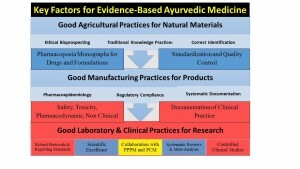 Key factors crucial for Ayurveda to move towards evidence based scientific approaches related to quality of drugs and practices are portrayed in Figure 3. The question of epistemologically sensitive methods is relevant only to biomedical laboratory and clinical research. The good agricultural practices for procurement of raw materials and good manufacturing practices for Ayurvedic drugs must be in accordance with the globally accepted norms. Today, drug discovery and clinical therapeutics are undergoing major challenges. Prevailing approaches like one gene/one target/one disease, randomized clinical trials, frequentist statistical significance are being questioned. We are encountered with complex polygenic syndromes, where typical magic bullet approach may not be relevant. Research in the direction of multi-target formulation discovery, whole systems clinical trials and personalized medicine needs to be further enhanced. In present time when lifestyle diseases are emerging as global epidemic, wisdom of Ayurveda can play important role through safer drugs, diet and behavioral modifications. The new philosophy of healthcare is moving from illness to wellness, from treatment to prevention and early diagnostics and from generalized approach to personalized medicine. As discussed in this review, there are several similarities between the concepts of PPPM and Ayurveda. 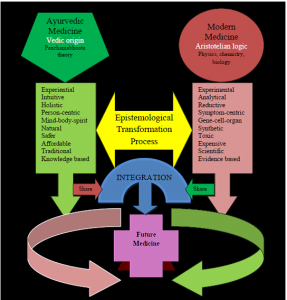 Search of novel models for integrative medicine indicates need for collaborations between traditional systems like Ayurveda and contemporary western biomedicine. Such integration is bringing best of the western biomedicine and eastern traditional knowledge systems like Ayurveda may lead to high impact projects. Suitable industry collaborators can also be roped in from both the respective regions. Such integration certainly has contemporary significance and will help to address societal challenges presently faced in the global healthcare sector. For this to happen, traditional Ayurveda needs to be bridged with modern scientific evidence based approaches in medicine. Morandi A, Tosto C, Roberti di Sarsina P, DallaLibera D: Salutogenesis and Ayurveda: indications for public health management. EPMA J , 2:459-465, (2011). Roberti di Sarsina P, Alivia M, and Guadagni P. Traditional, complementary and alternative medical systems and their contribution to personalisation, prediction and prevention in medicine-person-centred medicine. EPMA J, 3.1: 15, (2012). Morandi A, Tosto C. Ayurvedic Point: The Italian way to Ayurveda. J Ayurveda Integr Med;1:141-5, (2010). Berra JL, Molho R. Ayurveda in Argentina and other Latin American countries. J Ayurveda Integr Med , 1(3), 225-230, (2010). Acharya Y.T. Editor, Charak Samhita, Varanasi, Chaukhama Surabharati, Vimana Sthana 8/14, (2000). Aird, W. C. Discovery of the cardiovascular system: from Galen to William Harvey. J Thromb Haemost. 9 (7), 118-129, (2011). Light, D. W. The risks of prescription drugs. Columbia University Press, 2010. Valiathan, M. S., and Urmila Thatte. Ayurveda: the time to experiment. Int J Ayurveda Res , 1(1), 3, (2010). Shankar, Darshan, P. M. Unnikrishnan, and Padma Venkatasubramanian. Need to develop inter-cultural standards for quality, safety and efficacy of traditional Indian systems of medicine. Curr Sci, 92(11), 1499-1505, (2007). Patwardhan, Bhushan. The quest for evidence-based Ayurveda: lessons learned. Curr Sci , 102(10), 1406 – 1417, (2012). Nisula, Tapio. In the presence of biomedicine: Ayurveda, medical integration and health seeking in Mysore, South India. Anthropology and Medicine , 13.3: 207-224, (2006). Patwardhan, Kishor, et al. The Ayurveda education in India: how well are the graduates exposed to basic clinical skills?. Evid Based Complement Alternat Med 2011 (2011). Patwardhan, Bhushan, Joglekar Vishnu, Pathak Namyata, Vaidya Ashok. Vaidya-scientists: catalysing Ayurveda renaissance. Curr Sci , 100.4: 476-83, (2011). Rastogi, Sanjeev. Identifying attitudes about drug safety: A sample survey of Ayurvedic physicians. Int J Risk Saf Med. , 22.2: 93-101, (2010). Sahoo N, Manchikanti P, Dey SH. Herbal drugs standards and regulation. Fitoterapia; 81: 462-71, (2010). Narayana A.D. B. Approaches to pre-formulation R & D for phytopharmaceuticals emanating from herb based traditional Ayurvedic processes. J Ayurveda Integr Med;4:4-8, (2013). Bhutani, K. K. Natural Products: Bench to Bedside, An Indian Perspective. Planta Medica , 78.05: OP20 (2012). Singh RH. Exploring issues in the development of Ayurvedic research methodology. J Ayurveda Integr Med;1:91-5, (2010). Valiathan M.S. Putting House in Order. Editorial. Curr Sci, 2006, 90(1), 5-6. Patwardhan K. Medical education in India: Time to encourage cross-talk between different streams. J Ayurveda Integr Med;4:52-5, (2013). Chandra S. Status of Indian Medicine and Folk Healing. Part I and Part II, Department of AYUSH, Government of India, New Delhi 2012, ( 2013). Singh RH. Perspectives in innovation in the AYUSH sector. J Ayurveda Integr Med;2:52-4, (2011). Narahari SR. Collaboration culture in medicine. Indian J Dermatol 2013;58:124-6. Patwardhan B, and Vaidya A. D. B.. Ayurveda: scientific research and publications. Curr Sci , 97.8: 1117-21,(2009). Manohar PR. Research for understanding as opposed to evaluating Ayurveda. Anc Sci Life.;34(2):61-3,(2014). Walach H, Falkenberg T, Fønnebø V, Lewith G, Jonas WB. Circular instead of hierarchical: methodological principles for the evaluation of complex interventions. BMC Med Res Methodol. ;6:29 (2006). Saper RB, Phillips RS, Sehgal A, Khouri N, Davis RB, Paquin J, et al. Lead, mercury, and arsenic in US-and Indian-manufactured Ayurvedic medicines sold via the Internet. JAMA; 300:915-23, (2008). Thatte UM, Rege NN, Phatak SD, Dahanukar SA. The flip side of Ayurveda. J Postgrad Med 1993; 39:179-82. Patwardhan B. European Union ban on Ayurvedic Medicines. J Ayurveda Integr Med;2:47-8, (2011). Lakhotia, S C. Neurodegeneration disorders need holistic care and treatment–can ayurveda meet the challenge? Ann Neurosci. 20.1 (2013).
. Patwardhan B., and Mashelkar R. A., Traditional medicine-inspired approaches to drug discovery: can Ayurveda show the way forward? Drug Discov Today 14, 804-811, (2009).
. Chopra A., Saluja M, Tillu G, Sarmukkaddam S,Venugopalan A et al. Ayurvedic medicine offers a good alternative to glucosamine and celecoxib in the treatment of symptomatic knee osteoarthritis: a randomized, double-blind, controlled equivalence drug trial. Rheumatology (Oxford). ;52(8):1408-17 (2013).
. Furst D. E., Venkatraman M. M., McGann M., Manohar P. R., Booth-LaForce C. et al. Double-blind, randomized, controlled, pilot study comparing classic ayurvedic medicine, methotrexate, and their combination in rheumatoid arthritis. J Clin Rheumatol.17(4), 185-192 (2011).
. Witt C. M., Michalsen A., Roll S., Morandi A., Gupta S. et al. Comparative effectiveness of a complex Ayurvedic treatment and conventional standard care in osteoarthritis of the knee–study protocol for a randomized controlled trial. Trials, 14(1), 149 (2013).
. Tillu G. Workshop on a CONSORT statement for Ayuveda. J. Ayurveda Integr. Med.1:158-9 (2010).
. Swain U., Sindhu K. K., Boda U., Pothani S., Giridharan N. V. et al. Studies on the molecular correlates of genomic stability in rat brain cells following Amalaki rasayana therapy. Mech Ageing Dev., 133(4), 112-117(2012).
. Dwivedi V., Anandan E. M, Rajesh S., Muraleedharan T. S., Valiathan M.S. et al. In Vivo Effects of Traditional Ayurvedic Formulations in Drosophila melanogaster Model Relate with Therapeutic Applications. PLoS One, 7, e37113, (2012).
. Fauzi F.M., Koutsoukas A., Lowe R., Joshi K., Fan T.P., et al. Linking Ayurveda and Western medicine by integrative analysis. J. Ayurveda Integr. Med. 4, 117-119 (2013).
. Patwardhan B. and Bodeker G. Ayurvedic Genomics: Establishing a Genetic Basis for Mind–Body Typologies. J Altern Complement Med. 14, 571-576, (2008).
. Aggarwal S., Negi S., Jha P., Singh P.K., Stobdan T. et al. EGLN1 involvement in high-altitude adaptation revealed through genetic analysis of extreme constitution types defined in Ayurveda. Proc. Natl. Acad. Sci. U S A. 107, 18961-6, (2010).
. Rotti H., Guruprasad K.P., Nayak J., Kabekkodu S.P., Kukreja H., et.al.Immunophenotyping of normal individuals classified on the basis of human doshaprakriti. J. Ayurveda Integr. Med. 5, 43-49, (2014).
. Rotti H., Raval R., Anchan S., Bellampalli R., Bhale S. et al. Determinants of Prakriti, the Human Constitution Types of Indian Traditional Medicine and its Correlation with Contemporary Science. J. Ayurveda Integr. Med. 5, 167-175, (2014). Patwardhan, B. Time for evidence-based Ayurveda: A clarion call for action. J Ayurveda Integr Med, 4(2), 63, (2013).
. Patwardhan B. Bridging Ayurveda with evidence-based scientific approaches in medicine. EPMA J 5:19 (2014).